Vintage acoustic, summer campfire vibes with catchy melodies and lush vocal harmonies. The perfect companion to your cross-country road trip or a weekend at the cottage. Ten songs you'll easily fall in love with. 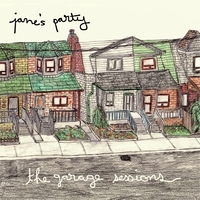 Jane's Party's debut record "The Garage Sessions" is purely and simply a collection of songs by a group of youngsters making music for the sheer sake of it. Void of any lofty expectations, the album exudes an unflinching honesty that is hard to come by in today's highly commercialized music scene. The bare bones production on The Garage Sessions allows for the band's song writing to creep to the forefront, in the same way a Dylan or Young track reaches undeniable perfection in its most stripped down, imperfect form.